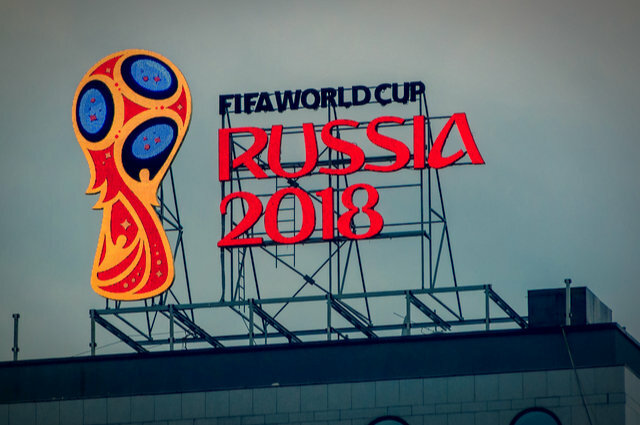 Less than 50 weeks to go till the 2018 World Cup Finals in Russia. Image by Alexeyart (via Shutterstock). Firstly, here’s two footballing dates for your diary: the 12 August 2017, and the 14 June 2018. The first date is the start of the Barclays Premier League, whereas the second date is the start of the World Cup Finals. Next year’s World Cup Finals will be taking place in Russia, and the Central Bank of Russia has launched a set of commemorative coins. The Memorial Monuments in Rostov-on-Don. Each of the cities’ landmarks depicted on the coins correspond with their role as World Cup Finals venues. The 25 Rouble penny will feature an embossed image of the World Cup trophy, used in the tournament since 1974. Several years from next year, the Three Rouble and 25 Rouble pieces could be highly collectable. Even more should the host nation win the 2018 World Cup. Able Engraving and Design, 05 July 2017. This entry was posted in Able News and tagged Central Bank of Russia, coins, commemorative, engraved, limited edition, Russia, World Cup 2018 on 5th July 2017 by admin.